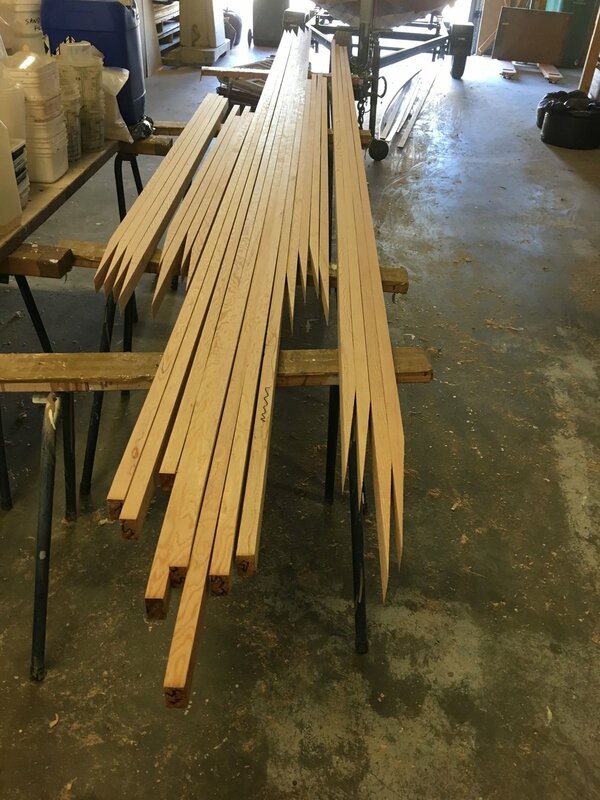 Staves with scarfs cut ready to glue . 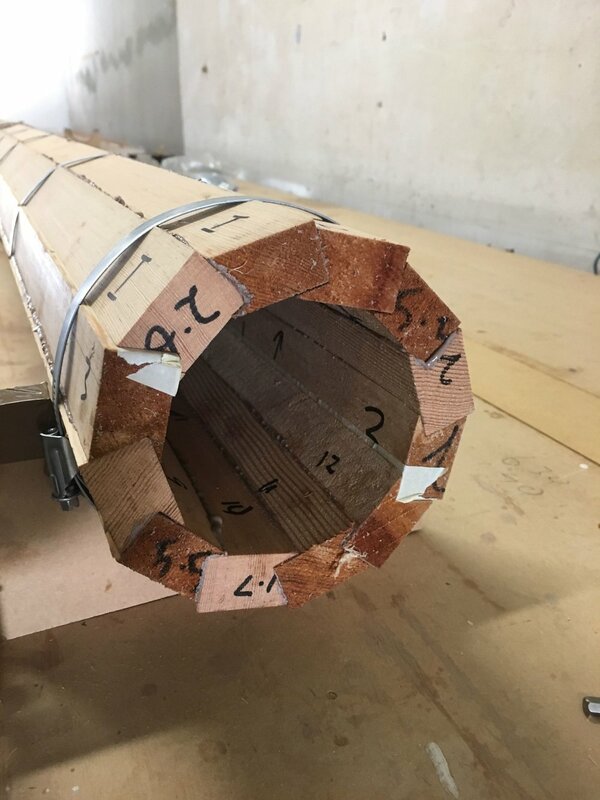 The mast is glued in 2 stages, soon the gluing process 2 joints are taped so the mast can be split in 2 , then the solid ends as well as ducting for lights etc. can be fitted before the mast is finally glued up. All glued up and ready for final shaping.